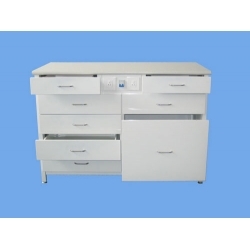 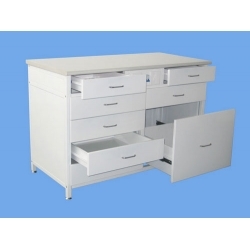 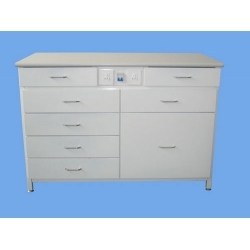 Used for the organization of lab assistant workspaces. 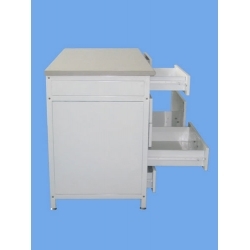 It accommodates various devices and equipment used to carry out physical and chemical experiments; sustains 300 kg even load on the desktop. 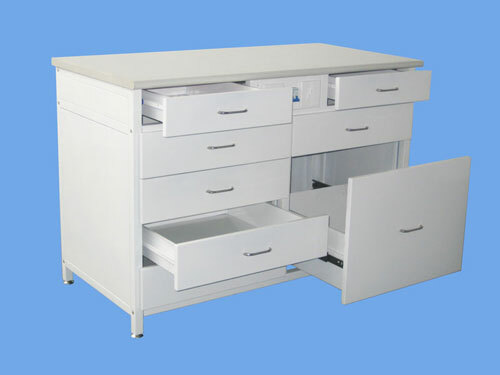 The table is made of high-quality steel, supplied with a laminate tabletop.